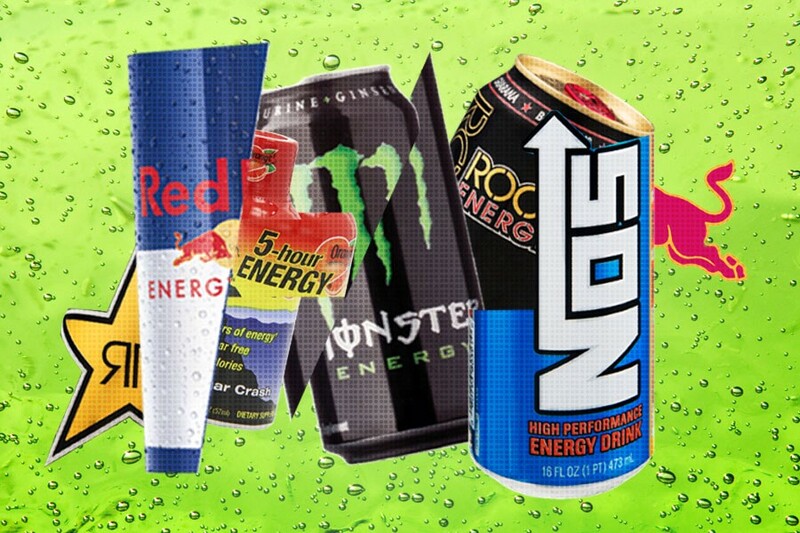 With that in mind, let’s rank some energy drinks before my heart gives out. 2. Redline: “This doesn’t appear to contain any artificial colors, and it’s calorie-free, since it contains the artificial sweetener sucralose (which is ‘safe,’ according to the FDA),” Hunnes explains. “The vitamins and amino acids probably won’t do much for you at the doses that they come in, and the electrolyte portions are a bit of a joke. But overall, this seems close to Yerba Mate in terms of being least unhealthy.” It’s worth noting, however, that Redline energy drinks are extremely high in caffeine, meaning consuming more than a single serving (which amounts to only half of the bottle) may put you into the hospital. 3. 5-Hour Energy: These shots are calorie-free and contain the caffeine-equivalent of a 12-ounce cup of coffee. “It has artificial sweeteners, which may be unsafe in high doses, and we would pee out the B-vitamins that it contains,” Hunnes explains. FYI, 5-Hour Energy also comes in decaf, which makes no sense whatsoever. 4. Red Bull: A 12-ounce can of regular Red Bull contains a whopping 37 grams of sugar, which is a lot — that’s approximately 10 teaspoons, or the equivalent of about 35 gummy bears. The American Heart Association recommends that men consume no more than 36 grams and that women consume no more than 25 grams of added sugar per day. Too much sugar, if you didn’t already know, is terrible for you: A sugar-laden diet is associated with all kinds of ailments, from heart disease to depression. 5. Monster: “This is about the same as Rockstar [which we’ll look at next],” Hunnes says. But it contains slightly less sugar. Welp, that was without doubt the single most unhealthy list of things I’ve ever come across while writing this series.